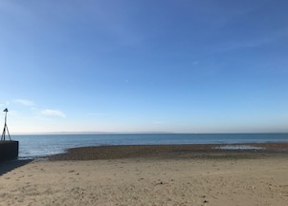 Day 4: What glorious weather we have had! 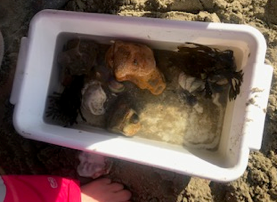 With blue skies and the sun shining, we headed down to the beach for our Seashore experience. 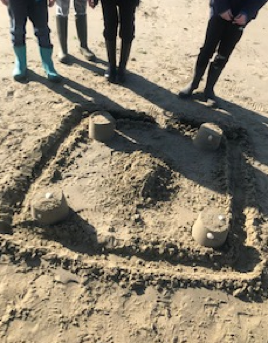 In groups, we created rock pools, built sandcastles and had an extremely successful fossil hunt. 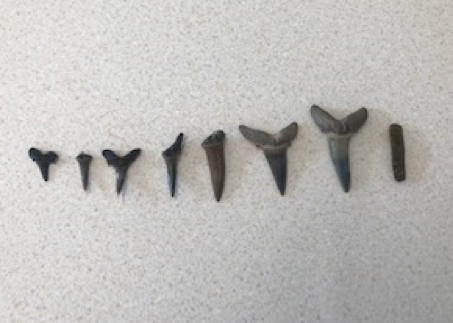 We discovered many impressive items whilst on the beach, however, the most impressive of all was that Fair Oak managed to find a record breaking 7 shark’s teeth down by the sea. As well as these, we also discovered two eagle ray crushing plates. We have been told that this is rare and exciting find! This afternoon, the children have completed a variety of activities. Group 1 headed to face the Earthquake while Group 2 built shelters. During these activities, they developed the Stubbington 3 main aims; teamwork, respect and responsibility. The children have also made the most delicious cocktails using natural ingredients including grass, leaves and even mud! They smelt surprisingly good! However, we did advise the children not to drink their concoctions. Without wishing to alarm you, there has been an awful crime at Stubbington. Pirates have invaded our land and stolen the treasure! So after dinner this evening, the children will become investigators and work collaboratively to solve the case… but which of the Fair Oak Pirates stole the treasure?